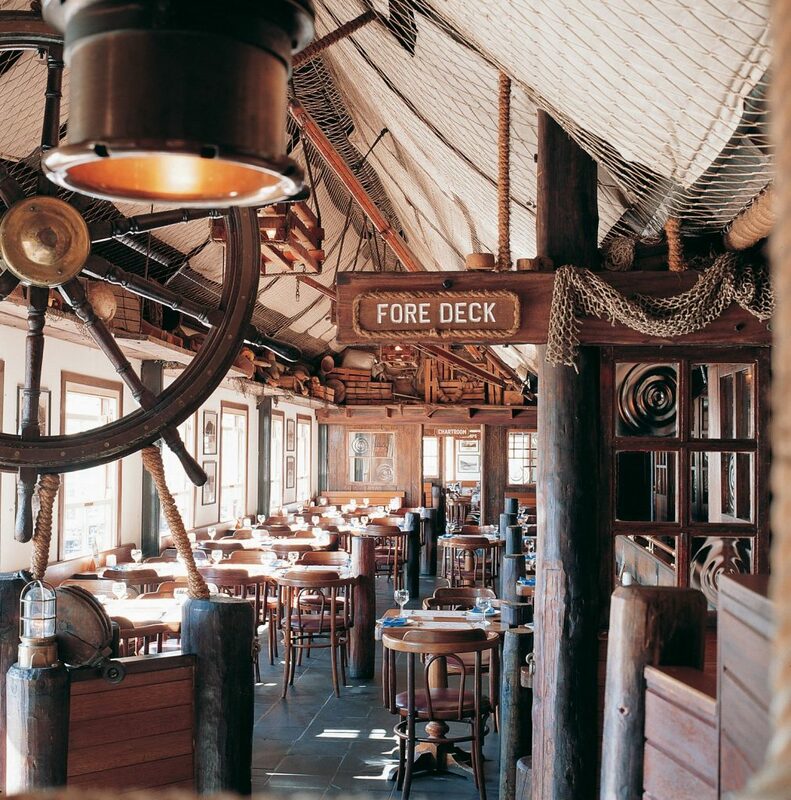 Feel like a celebrity and experience fresh-caught seafood at the Wharfside Grill Restaurant in Hout Bay fishing harbour. Views over the beach, the harbour and Chapman’s Peak Drive. The Wharfside Grill Restaurant is internationally renowned for its fresh-caught seafood and harbour view. Situated upstairs in Mariner’s Warf, it’s a regular port of call for dignitaries, movie stars, singers and sporting heroes thanks to its excellent fare and superb customer service. The grill features a modern dining area and sundeck, as well as six private dining cabins, all of which are impressively decorated with artefacts from famous ocean liners and maritime history. Enjoy a long lunch or evening affair at this top class restaurant, with views over the sea where the fish of the day is caught. Or opt to visit the grill’s Crayclub Bar for a nibble and choice of specialty drinks. The Mariner’s Wharf was the brain-child of Stanley Dorman, who launched the attraction in 1984. Opened as South Africa’s first harbour-front emporium, the wharf includes restaurants, shops and markets all designed according in a maritime theme. 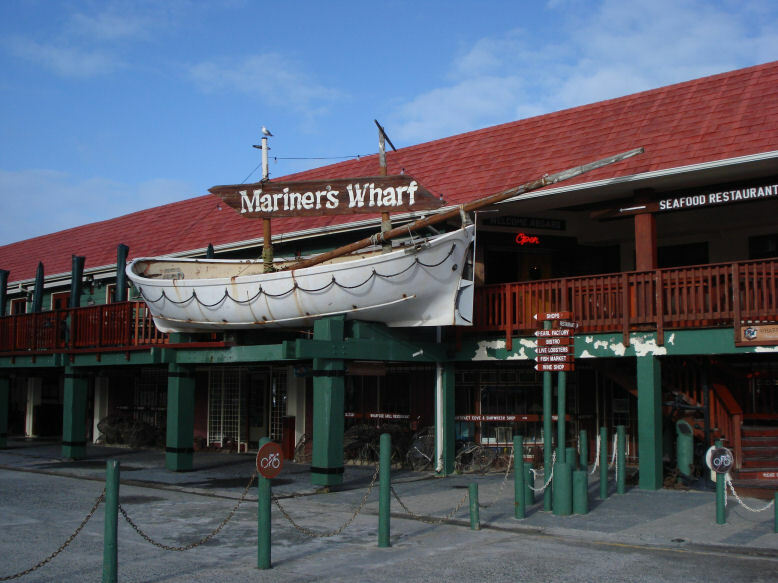 The Wharf also showcases the history of the charming Hout Bay fishing village, and attracts thousands of visitors to a day. Pass holders are entitled to a Solo Sailor Seafood Platter for one, and a glass of wine or a 330ml bottle of water for only R120. Pass offer does not apply in conjunction with any other specials or promotions. 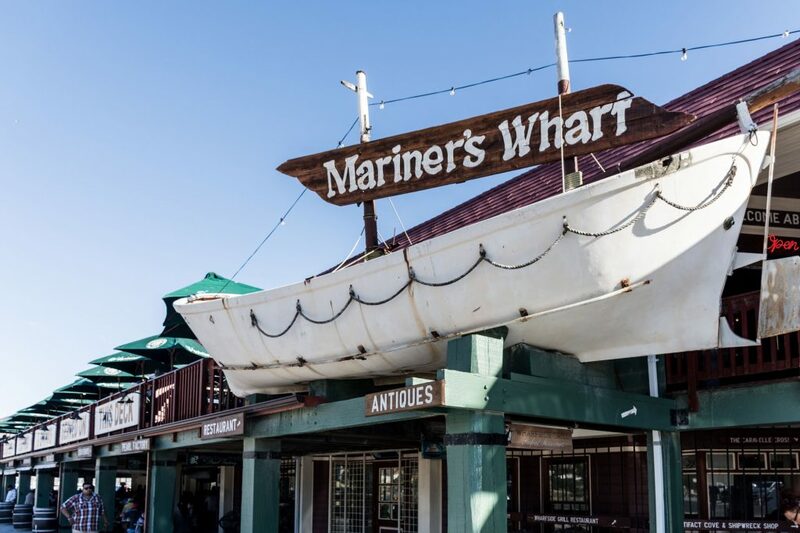 Spend some time wandering around the Mariner’s Wharf before dinner. Visit the market and check out the wharf’s fresh produce market and estate wine sales. You can even purchase wine in a fish-shaped bottle as a gift. Once you reach the restaurant, pop into the Crayclub Bar for pre-dinner drinks that come served in a complimentary souvenir glass. An early dinner in summer is the best bet at here, allowing you to dine on the outside deck and enjoy the panoramic harbour views. And remember, this restaurant specialises in seafood, and it is highly recommended that you sample the freshly caught fare for your meal. The Fisherman’s Wharf Market at Mariner’s Wharf is built around the hull of an original 1940s wooden trawler, named ‘Kingfisher’. The market is a major attraction to the Wharf for its fresh fish, live lobsters and wide range of estate wines, beers and liqueurs on offer.